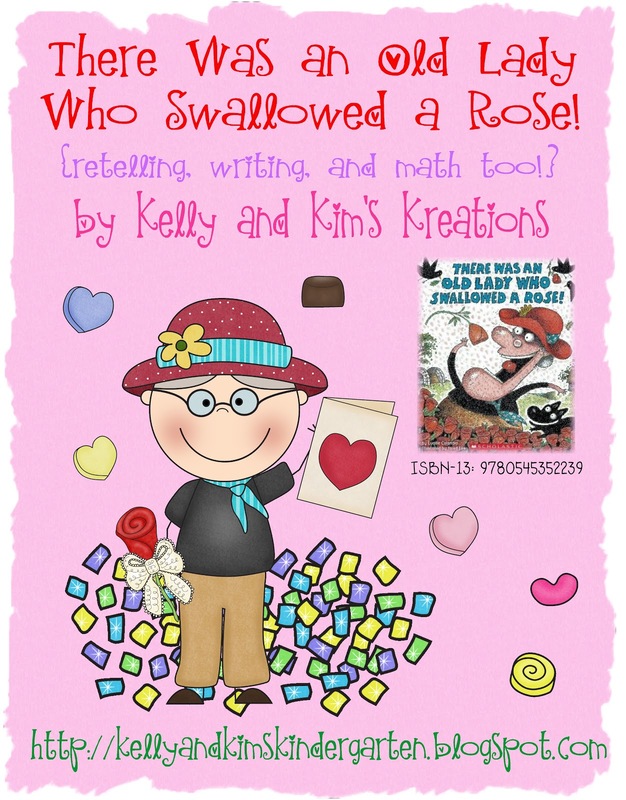 Kelly and Kim's Kreations: Snow Day and 100th Day! Kelly and I were burning up the email, messaging back and forth about our next TpT project. We did manage to get a new old lady up in the store just in time for Valentine's Day. We just love those little old ladies! This time she is swallowing a rose, lace, glitter, and a diamond. Wow!! Is there nothing this old lady won't eat? Flower made from 100 white buttons. Very cute! The outline of a T-Rex made from pasta. Very original! 100 piece puzzle! Hang ten Scooby!! 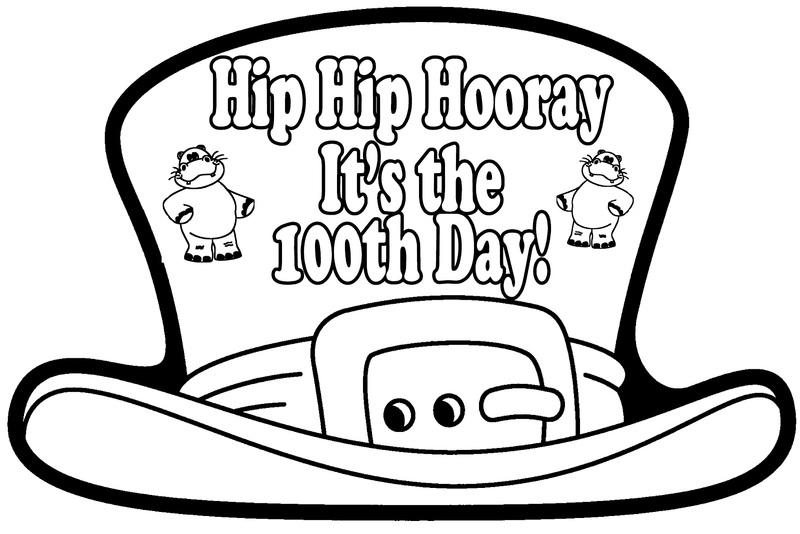 We also like to make this 100th day hat too! The children color and cut out the hat and then we put them on sentence strips and wear them!! What do you do? We would love to hear all about it!! Enjoy your weekend everyone! LOVE the old lady books! Our 100th day was yesterday. I think their favorite activity was using a 10s counting mat to see if they really brought 100 things to school with them and to make sure none got lost (or eaten) on the way. So glad you stopped by my blog! Thank you for the comment and for following me! I am now your newest follower! I LOVE your blog! So cute! It is right up my alley with the safari theme! Do you have that 100th Day hat for sale in your TpT store? I will have to go look! My kiddos love the Old Lady books..and so do I! I will have to check those out while I am in your store! I hope your 100th Day pictures go well! I reduced the size to 40% when printing so it wouldn't use so much ink and they'd fit in my frame! I just posted about 100th Day today. The kids reactions were priceless! It was so fun! I highly suggest keeping it a secret from them! We do not have the hat in our store, but were thinking we would go ahead and offer if as a freebie. We haven't had our 100th day celebration yet. We will see if we can get it up as a freebie on Friday. The pictures have been so much fun to do. I have never laughed so hard over them, we have had fun with them. I was thinking about making them my bulletin board. Thanks again for sharing the app.